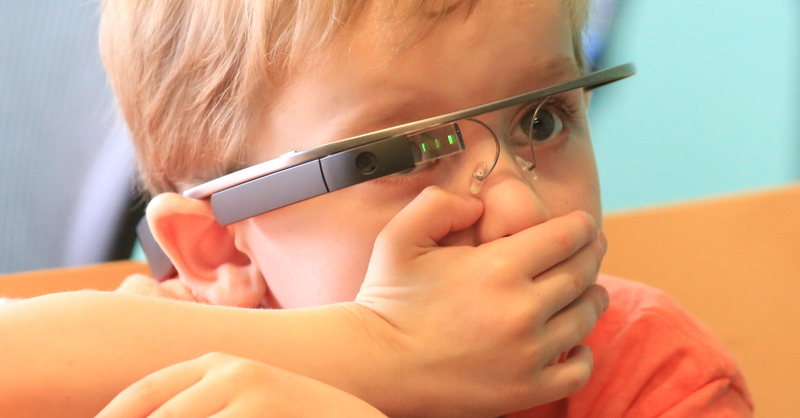 The child or adult wears light, computerized glasses and sees and hears special feedback geared to the situation. For instance, digital coaching on facial expressions of emotions, when to look at people, feedback on the user’s own state of stress or anxiety, and much more. Empower Me gives an augmented-reality experience, which our tests show autistic users LOVE. Meanwhile, they get points and rewards for learning the social-emotional as well as cognitive skills they want. Each software module connects to Brain Power’s cloud-hosted portal where artificial-intelligence algorithms produce insights and predictions in real time. The game-like apps collect numerical behavioral data, scientifically and rigorously, and present the child, family, school, or clinic with insights and answers they can readily understand. These come in the form of intuitive graphs, auto-generated IEP reports, and much more. We aim to provide hope, clarity, understanding, social integration, and community – toward our ultimate goal of happy self-sufficiency. We practice user-centered design, and include people on the autism spectrum into our testing, design, and brainstorm sessions. At Brain Power, we have several full-time employees on the autism spectrum, who are fully included and contribute substantially to the core work of our company. In addition to developing products, we do scientific research and our work has been published in several peer-reviewed medical research journals. We have completed clinical trials in the clinic environment, and are conducting a new round of trials in schools. We have several federal research and development grants, as well as partnerships with Google and Amazon. Legal Disclaimer: We do not treat or cure any disease nor provide diagnosis. We offer personal empowerment products that provide useful coaching to people who want it, and assist them with daily tasks, based on neuroscience innovations and technological advances from MIT and Harvard. The Empower Me system aims to empower children and adults all along the autism spectrum to teach themselves practical life skills, and assess their progress numerically. Above: A Mom cries during a live clinical trial session of the Empower Me system by Brain Power, as covered by PBS Newshour. Click the video to learn more about out why she was crying tears of joy. Patents issued and pending worldwide since 2013. Social interactions are crucial for self-sufficiency but dispiritingly difficult for some ASD children. Our tools measure and assist: emotion decoding based on facial and body language, recognizing emotionally important events, face-directed gaze, social eye contact, conversation pragmatics, and more. We have demonstrated increased self-confidence, which is the foundation of social integration. Delays in language learning cost dearly in education and socialization. Using neuroscience and cutting edge tech, we provide ways to increase motivation and learning of language, based on the actual learning style: of children with ASD in general, and then tuned to the specific user. Gamified and based in the newest aritifical intelligence, our apps are fun and adaptive. Autism can involve repetitive behaviors. These may have long-term impact on self-sufficiency, though ironically they may provide short-term comfort. We focus on managing underlying distress and sensory overload; and on learning to substitute more covert behaviors when desired. We also have apps for managing Transitions, e.g. transitions to new schools or simply a trip to the mall, and reducing stress and anxiety. Having a good job is probably the highest form of self-sufficiency and dignity for an individual on the spectrum. We developed software modules to teach job-related skills of particular use in this population. We also have modules that use the internet-connected camera and screen to provide remote, digital job coaching. This allows job coaches to serve more clients, with less time wasted in transport, and to reserve site visits for when necessary – thus increasing dignity and autonomy of the employees. Earn points for guessing your partner’s emotion. Unlock cartoon faces and gold stars for attending to your friend’s face when talking. Compete against others and your own high score. … These tried-and-true motivational systems, which our clinical studies show people with ASD love, are also crucial scientifically. Through game performance and improvement we can measure if and when assistive information is actually understood and acted upon by the user. We involve autistic people at every stage of the design process. We are committed to the idea that this is how to make a product that serves the needs of the community. From our several employees on the spectrum to the hundreds of children and adults on the spectrum who have tested our evolving system over the years, we listen and learn. And implement! The emotional and social computations that the Brain Power’ Empower Me system takes on are difficult for the adult human brain – let alone for a lightweight wearable computer (or any computer)! We employ the newest in artifial intelligence and patent-pending algorithms, to do much of the hard work for the user and make the assistive experience as seamless and as educational as possible. Never before could data be gathered at this level of detail, and now new kinds of questions can be answered. Our aim is to uncover data-driven subtypes of autism, and to customize the experience for each unique child and adult. By being part of the Brain Power family, you are also part of perhaps the world’s biggest humanitarian study of autism and related conditions. You can benefit your community. 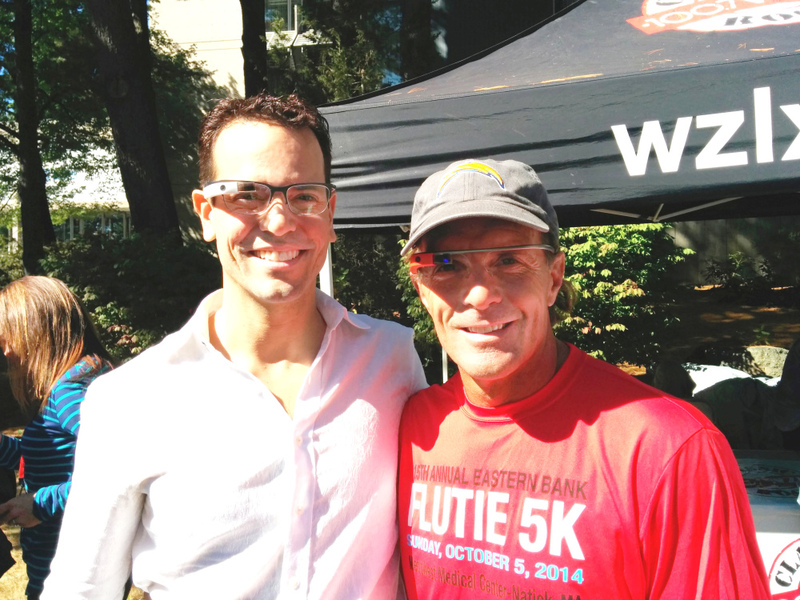 The “Empowered Brain” apps on the smartglasses stream data in real time to an advanced, custom-built data analytics portal that is hosted in the cloud. Direct screen-capture of realtime data while a child used the Face2Face app (part of the Empowered Brain suite of apps). In this example, the blue plot shows the points earned over time, and brown diamonds indicate where in time and points-space specific achievements were unlocked. Another example of realtime data from the Face2Face session above. In this case, each and every time the child looked at his parent’s face, and each time he looked away, is plotted in precise time and on the points axis. In addition to real-time data, the cloud-hosted web portal gives several types of reports. These reports can for instance tell parents how they child has been doing and improving over the months. Our system also can automatically log and analyze “session notes” for therapists, or IEP reports for teachers. The Empower Me system by Brain Power has been used by hundreds of children and adults on the autism spectrum. 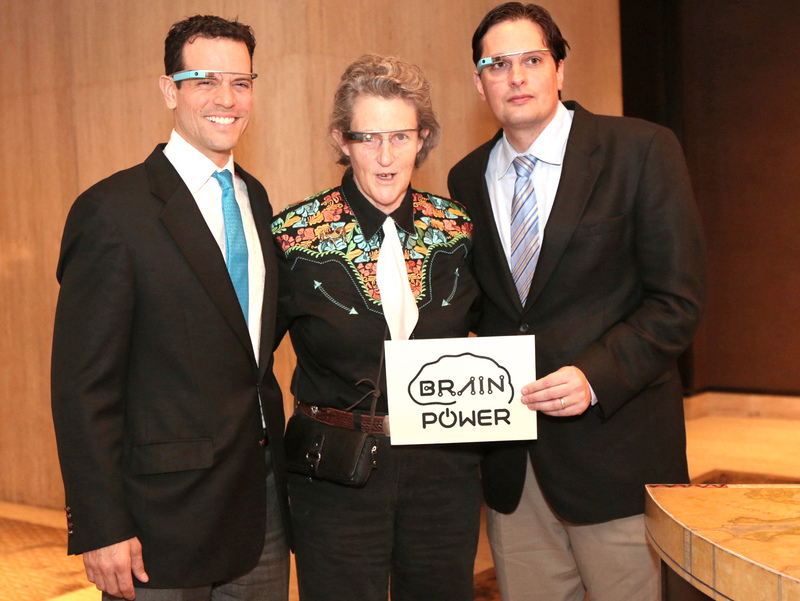 The Empowered Brain system by Brain Power has been used by hundreds of children and adults on the autism spectrum. 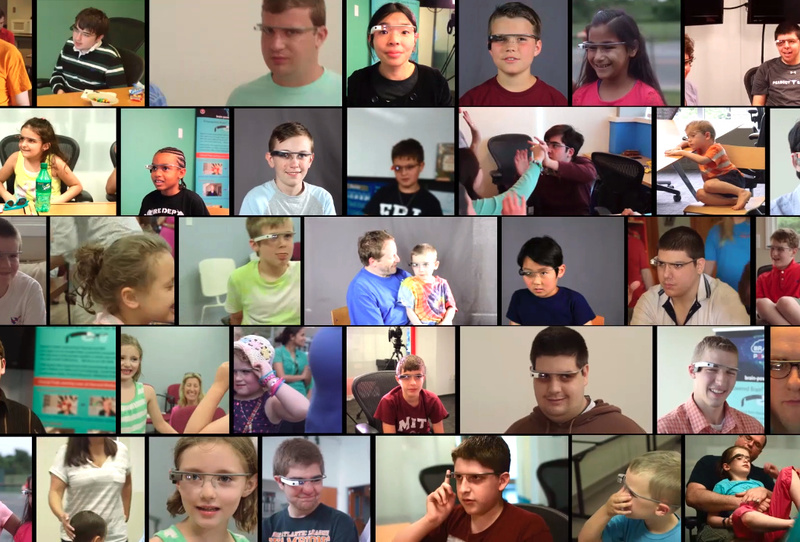 New England Cable News feature on Brain Power and the Empowered Brain augmented reality system for autism. Empowered Brain records behavioral and performance data, and bodily signals; processes them; and gives intuitive, simple, gamified feedback to the wearer, caregiver, teacher, therapist, and/or physician. Empowered Brain is a set of software modules (apps) that run on a range of head-worn computers including Google Glass, plus a web-based data dashboard. Software can be deployed around the world instantly, allowing us to assist families and schools everywhere. The headset can be worn by the child (when possible) or the caregiver or both, and works with smart phones (iPhone and Android) or watch devices. Flexible and part of an ecosystem. We have patent-pending ways to transform augmented-reality headsets like Glass into bio-sensing devices using their built-in sensors. We also run machine-learning algorithms on the device and in our closed-loop system. How can we help? We look forward to your questions, or simply to keeping you in the loop.